Go to Doug Wead's 4th of July Trivia for fun facts about patriotic holidays, including Presidents Day. 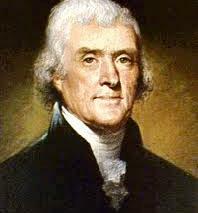 Thomas Jefferson was the third American President. Which three presidents died on the Fourth of July? What American President was famous for playing golf every Fourth of July?